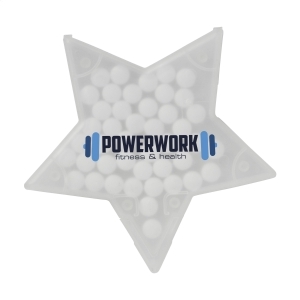 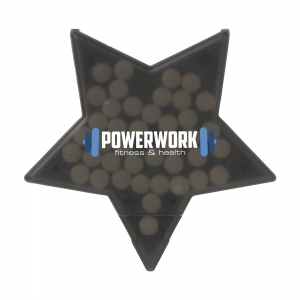 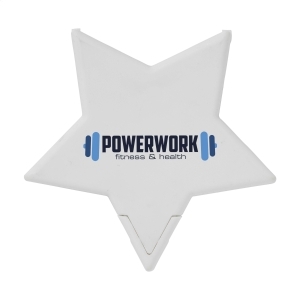 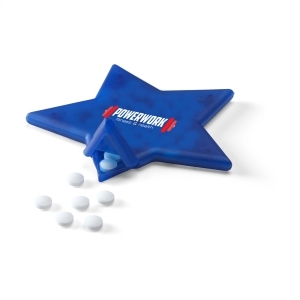 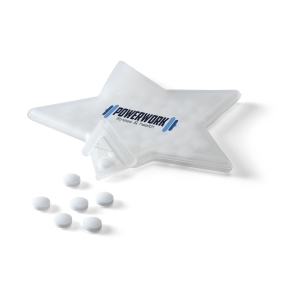 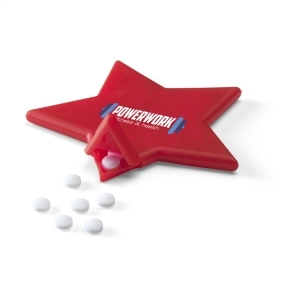 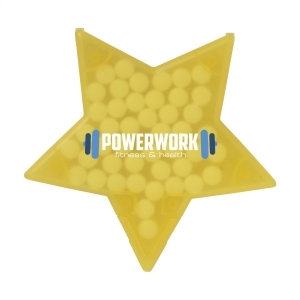 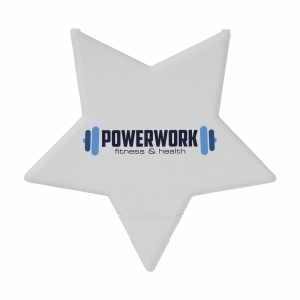 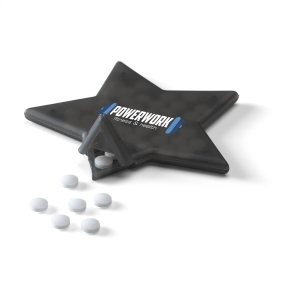 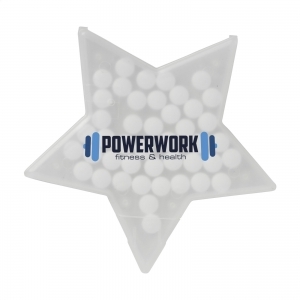 Compact plastic dispenser in the shape of a star, filled with approx. 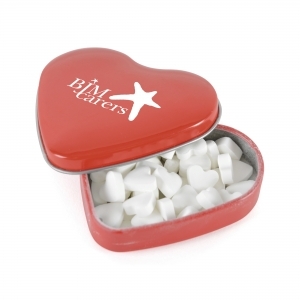 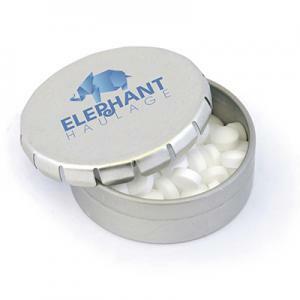 6 g (43 pieces) of sugar free peppermints. 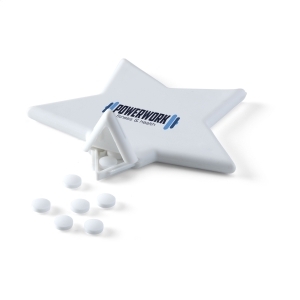 To order an unprinted StarMint peppermint, please complete the details below.